It has been a while since we last showcased design related packaging on Jayce-o. 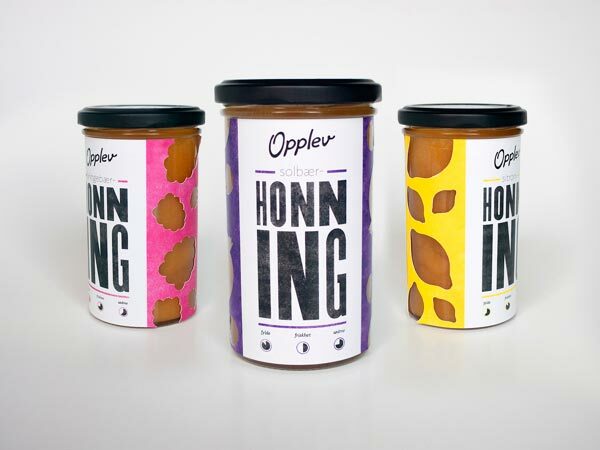 Today, we like to showcase 25 Honey Packaging Designs to inspire you. "Honey gathering activities allegedly been going on since 10,000 years ago. At first, people over use honey as food. Now not only the use of honey as a sweetener but also as a source for energy, to heal wounds, as antibiotics, and even therapy." When entering a department store, you will find a lot of honey products that line, as well as striking. They dominate other similar products. Dominance is used as a strategy to strengthen the marketing of consumer awareness of a product. This powerful and accurate manner; Consumers will determine one of the best honey products (for quantity), and they will feel that the product is an alternative to the usual products they use. 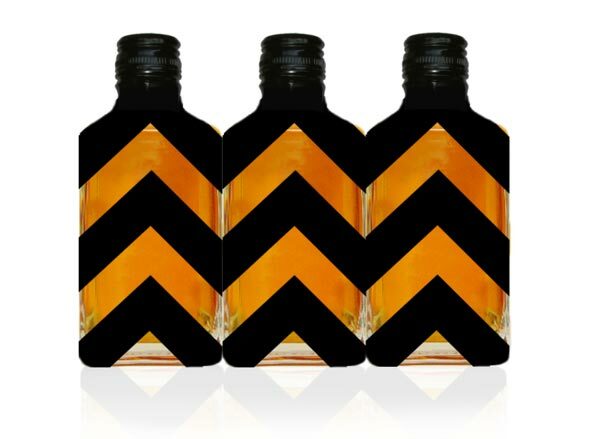 It is very likely if it is packaged in attractive way, also has a charming design, especially when it's laid out on the storefront. It's time entrepreneurs and small and medium businesses aware of this important matter. That good and attractive packaging is necessary and crucial if neglected. 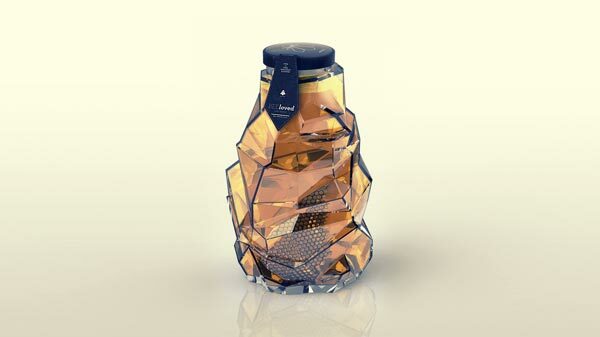 In this post I have rounded up 25 Beautiful and Creative Honey Packaging Designs to inspire you! Enjoy. 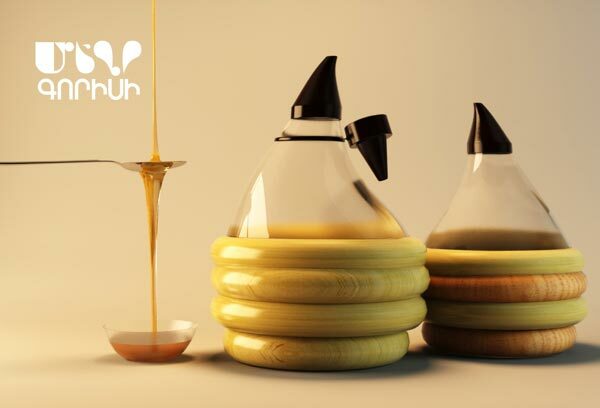 A new and unique way to package honey. A clean, minimalistic logo and branding using a elegant and simple typefaces upon large white space or canvas gives the design a distinctive and sophisticated appeal. New brand made as a school&personal project. 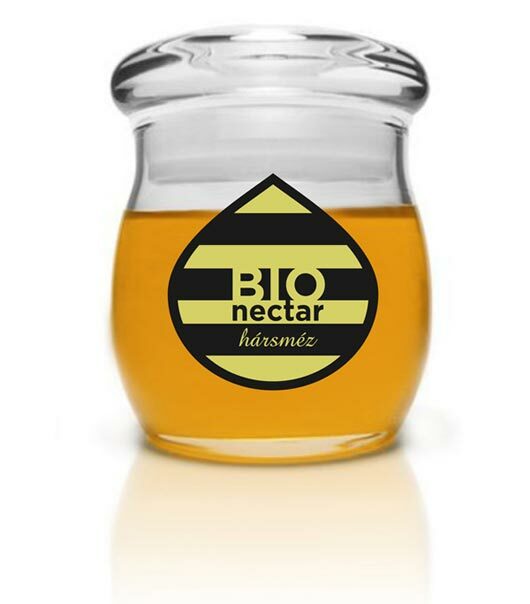 It is a raw honey, unpasterized, unfilterd, unblended and extracted and packed from a single hive to give you an experience of honey the way it naturally should be. The design is inspired by the histories of the viking gods and norse mythology. It is said that honey drops falls from the leaves of Yggdrasil, the world tree. When the gods held their counsils, they gathered around this tree. Project developed in schools, whose aim was to develop a concept for a fifth and further develop the graphic material disclosure and its package of products produced by the farm. 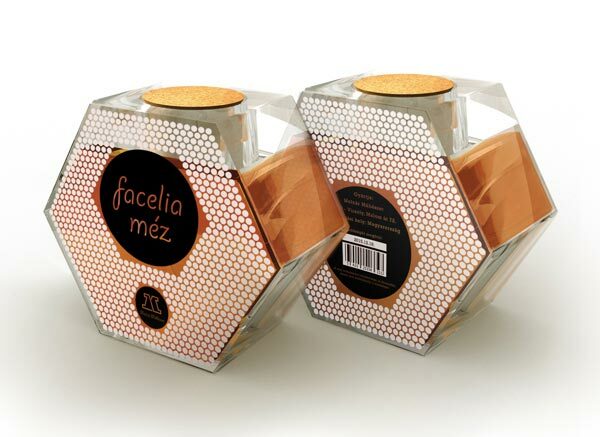 An elegant approach for honey packaging. 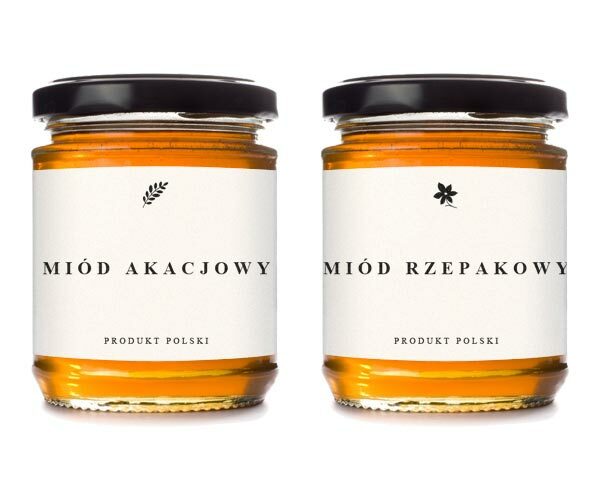 "The packaging design praises the great variety of honey varieties using a categorization based visual system and nomenclature. The typography is meant to convey the cleanliness and elegance of the product." 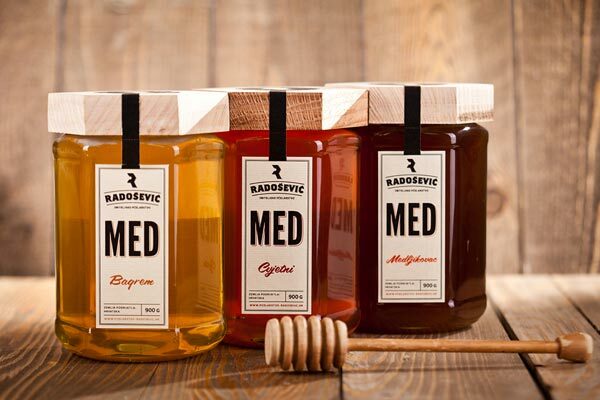 Radosevic Family Beekeeping identity and package. 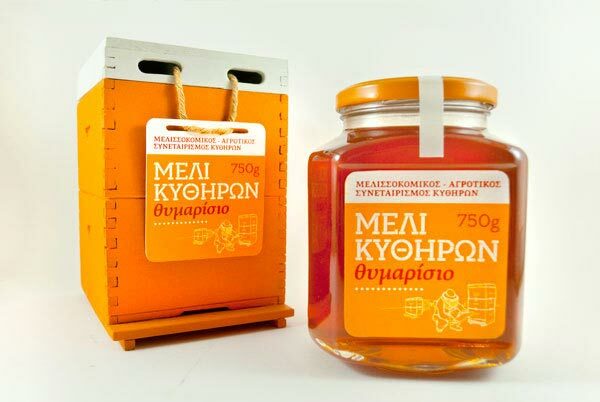 Promotional package for the Beekeepers' Association of Cythera thyme honey. 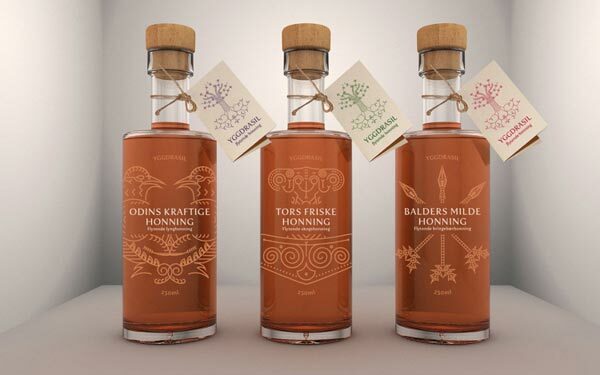 "Smakshonning is a new range of honey with added flavor from Honningcentralen, Norway's leading honey producer. 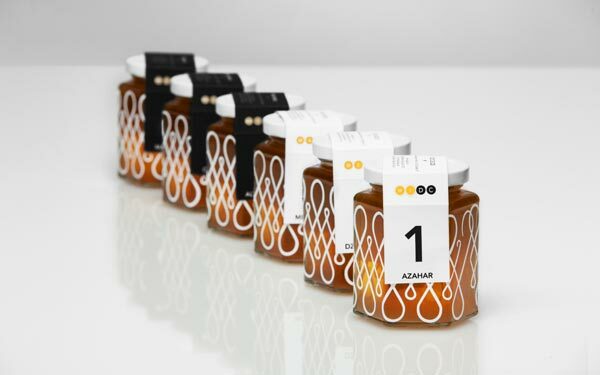 The idea was to create a chemistry inspired bottle, to emphasize the applicability of honey within gastronomy." 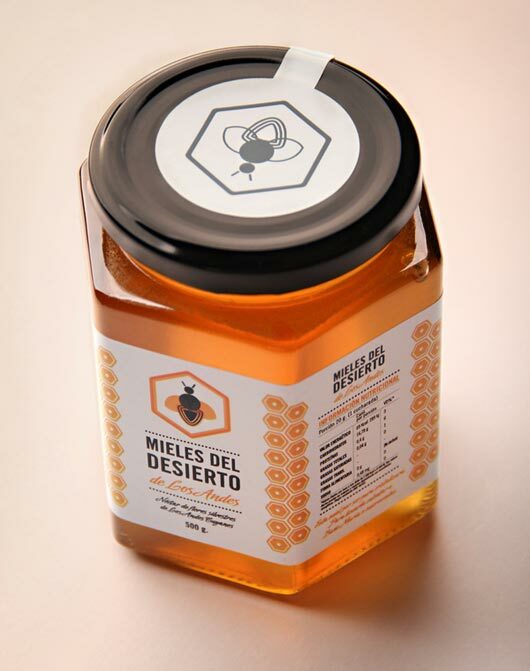 For each type of honey appropriate label was designed, avoiding common bees and honeycomb elements. 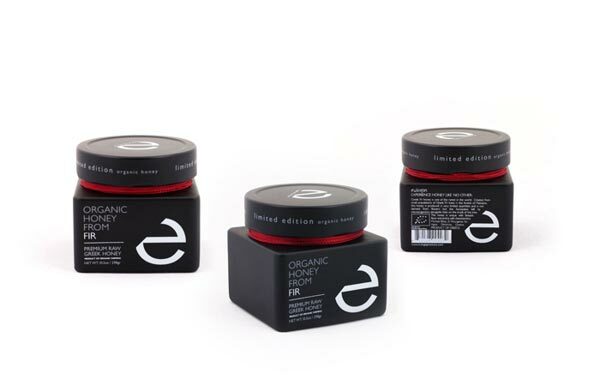 A modern and minimalistic approach for a premium organic honey. 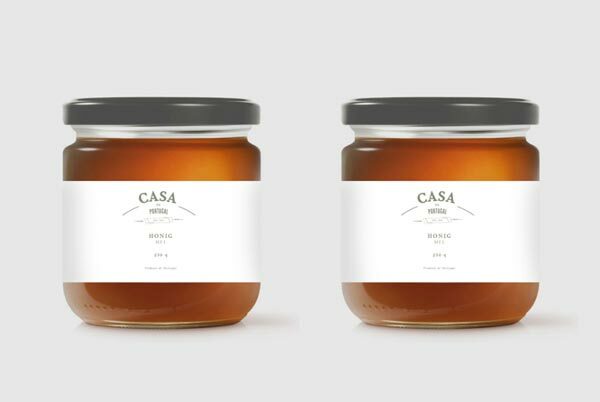 Babees Honey | Honey package design by Ah&Oh Studio. 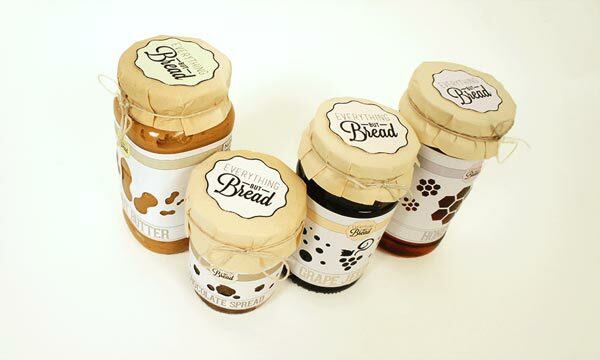 "A set of jars for a fictional brand "Everything but Bread". The set includes a jar of honey, jam, peanut butter, and chocolate spread." 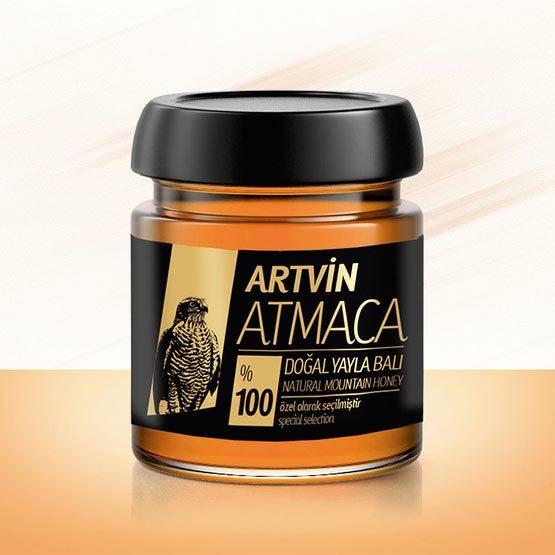 The aim of this pack is to highlight the quality and nature of the product. That's why the most relevant of the label, is the plot of the honeycomb. 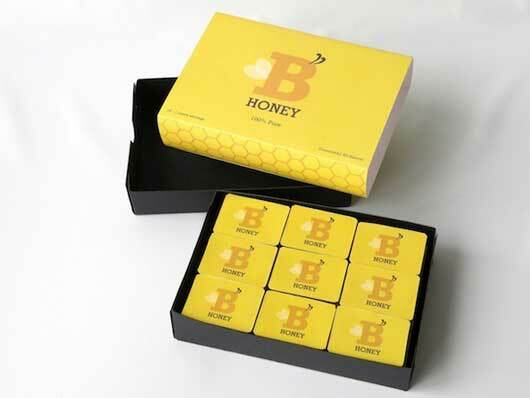 "A printed sleeve/box with 18 individual honey containers inside. 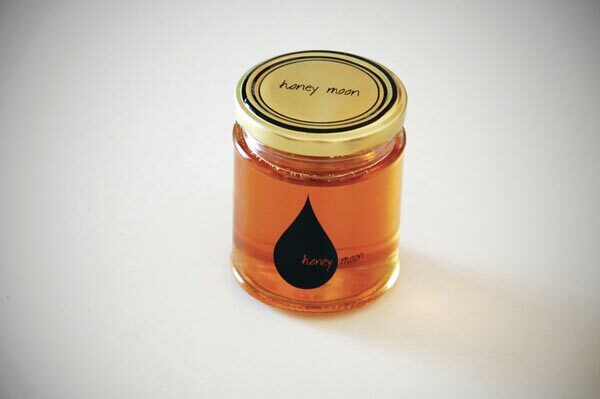 "B Honey" was intended to be a simple and approachable retail product with a child-like appeal." 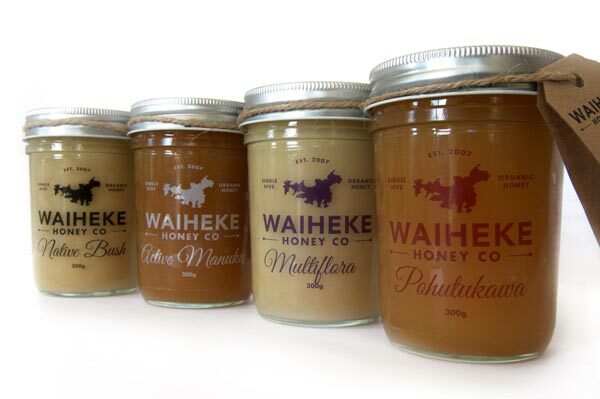 "The shape of the jar is hexagon to mimic the hexagonal honey comb structure. 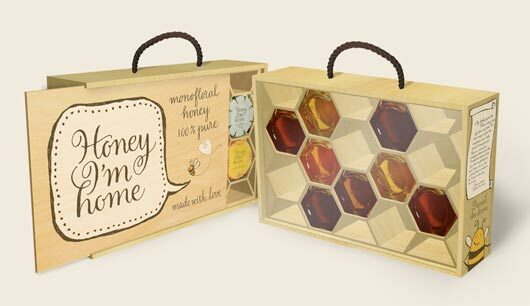 For the gift set, a wooden box is crafted to look like a modern honey frame that is filled with honey in each space. The jars are arranged at random to reflect natures randomness." 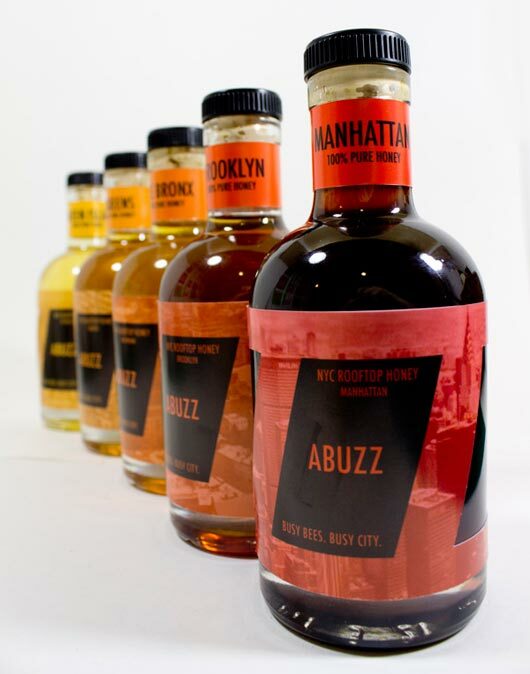 "Created the ABUZZ brand and packaging concept. Based on the busy nature of bees, especially the one's here in NYC. 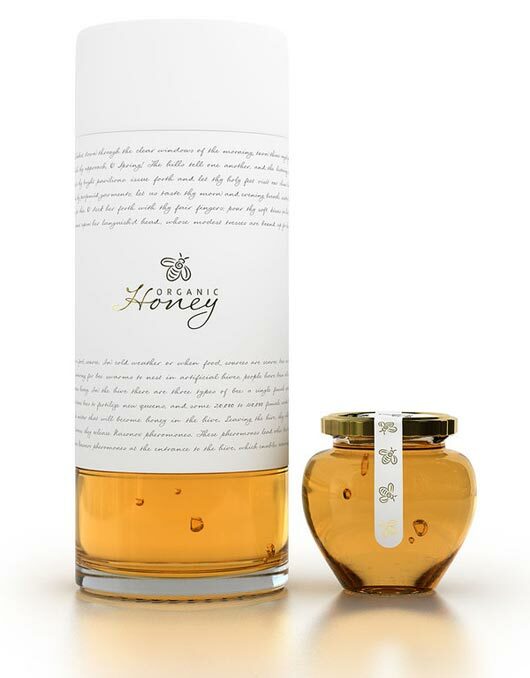 The images on the labels are aerial views from all five boroughs, from which the honey would originate." 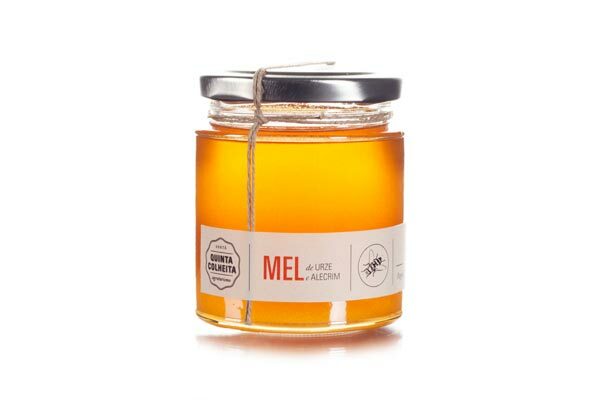 Fresh packaging for honey product. 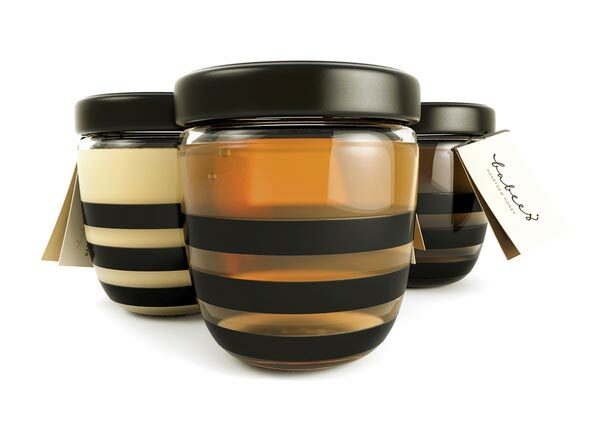 an elegant honey package design.